Designed for kids, the Chummie Premium Bed Wetting Alarm for Deep Sleepers is equipped with amazing features that will definitely catch your attention. The alarm will not sound off when the sensor detected a slight hint of urination. Aside from the sound alarm, it will also create a powerful vibration and emit blinding lights that will surely wakeup the deepest sleepers. It is armed with a detection system that will successfully detect the first drop of the urine. 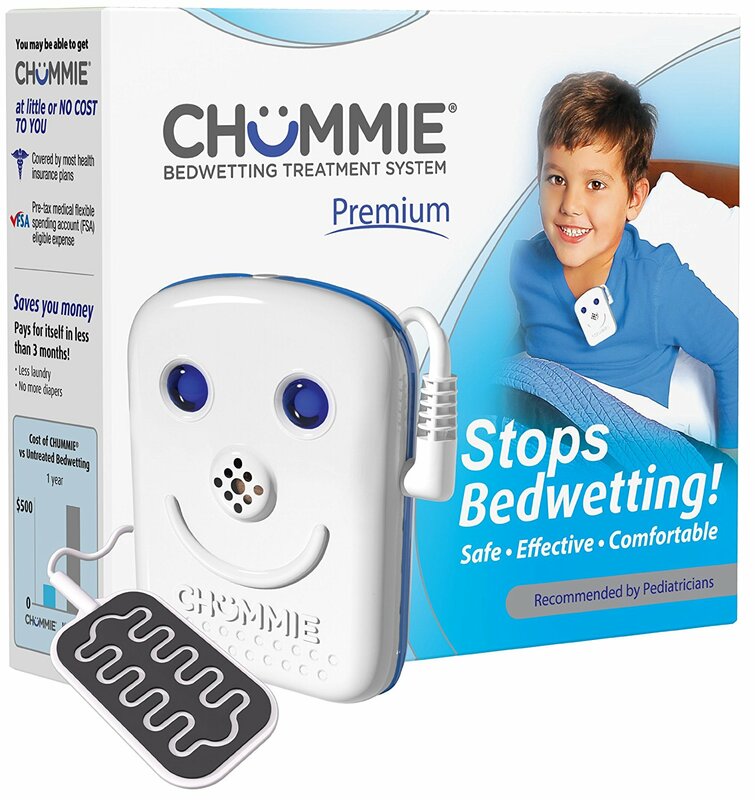 One of the amazing features of Chummie Premium Bed Wetting Alarm is that it is designed compact. It is smaller compared to the average debit card. The alarm that is tamper-proof is controlled using a microprocessor and it is ultra lightweight. The programmable interface is relatively simple and can even be operated by a 5-year-old kid. Compared with the other brands, this has a patented armband. It offers a more comfortable way of connecting the alarm to the clipping. 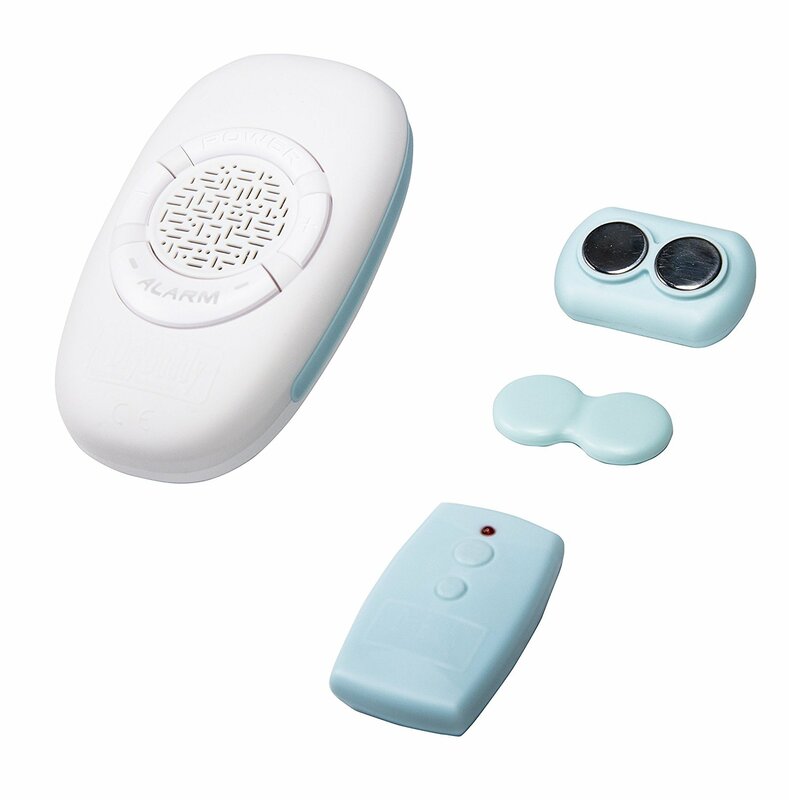 The hypoallergenic feature of this bed wetting alarm gadget also guarantees the users that it will not cause skin irritation. The Chummie Premium Bed Wetting Alarm for Deep Sleepers highlights an Intelliflex sensor system that can sense the urination during its first drop. It is also made up of silicon that is relatively impervious to corrosion. The comfort level is even amplified with the aid of the silicone wrapping. Compared with the similar product in the market, it also has a wider coverage area. These inherent features aside from the contour of the sensor will make it a comfortable wear for the kids. There are three types of indicators that work together once the sensor detected the first drop of urine. It will help the kids to overcome their bedwetting in just a matter of few weeks. These alarm system is patented that produced a strong alarm sound, powerful vibration, and bright lights. The sound that it produced comes in 8 variations and 32 different combinations of vibration, light and sound alarm system. It also comes with volume settings that you can set depending on your preference. The sound may not be that loud. The features that come with the Chummie premium alarm make it one of the most advanced urine detections system in the market. It is an affordable gadget that provides great result. It is the award-winning bed-wetting alarm equipment that we highly suggest to our reader.